We use only the very best fixtures and fittings, advanced technology and fully qualified tradespeople to deliver a personalised service with a focus on quality and style. Your first visit will be from Sashcraft owner Liam Collins. Liam will assess your existing windows and advise the best possible solution for your home. He will discuss our processes in more detail with you and will tailor our services to your individual needs. We will then provide you with a detailed quotation that will describe all elements of the work to be carried out. The team will thoroughly prepare the work areas in your property to ensure the adequate protection. We try to minimise our impact on the planet. We use microporous rather than solvent-based paints, and reuse and recycle as much material as we can. Our tradespeople are local to the Cambridge area so we keep our road miles to a minimum and we get on our bikes whenever possible. When you choose our Renovate and Upgrade Service or our Renovate and Sash Replacement Service we work meticulously to remove any rotten wood and to repair the existing timber using a combination of traditional joinery methods and the Repair Care International system. All exposed timber, repaired areas and new wood will be coated with a high-quality water-based primer. Over the years, we have updated and improved the finishing touches on our windows to ensure that the final article preserves the charm of your home. During our Renovate and Upgrade Service and Renovate and Sash Replacement Service we recalibrate sashes, fit new pulley wheels and hang windows with a new pre-stretch nylon sash cord so your windows will be smart and easy to open – we call it the ‘whoosh’ effect. The Sashcraft Advanced Sealing System using memory foam draught excluders help to keep the cold air and external noise out. 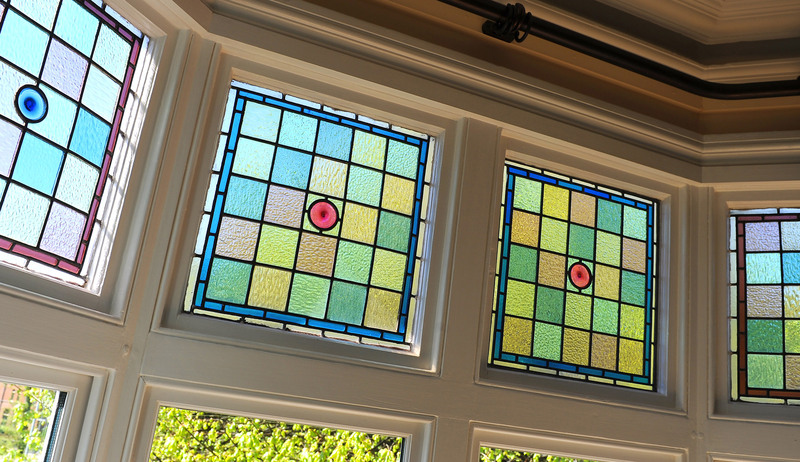 We’ve worked with The Original Glass Company to create a revolutionary glazing system that we use for our replacement sashes and our new windows. The conservation-approved double-glazed unit has krypton gas within the cavity, resulting in a slim glazing unit without a low U-value. We fit Secured By Design window furniture, including a solid brass or chrome lockable fitches and latches, so you can feel safe in the knowledge that your home is secure. We strive to ensure that our customers are completely satisfied with the work we do. Some jobs require scaffolding and then it is advisable to consider any other works that will utilise the scaffold at the same time; we are happy to advise on roof works, chimney repairs, lead works and new seamless guttering, soffits and fascias. With our optional decorating service upgrade our dedicated, professional team will always go the extra mile.